care of all your bathroom refurbishment. Cullen Construction Ltd provides its customers with an optimal balance between budget and quality when it comes to fittings and bathroom refurbishment. With several years of experience and a team of the best wet rooms installer in and around Loughton on our side, we are always able to complete a huge array of fitting and bathroom refurbishment services with diligence and speed. In case your shower door is broken, and you need tile installation, you are aware that you will first require a bathroom fitter. We have you well covered whether you only need a light repair or a complete bathroom fitting service. We specialise in all sorts of bathroom fitting issues regardless of the design or size, especially fitting work and bathroom refurbishment Loughton. We have all the required knowledge, skills and flexibility as well as machinery and equipment to ensure we complete your request with high quality and within your speculated time and budget. You are also free to decide on the type of bathroom supplies and accessories for us to use in your bathroom. We can also order anything you may require in your bathroom renovation in Loughton, from a home improvement store chain that we partner with. Our wet rooms installers will completely refurbish your bathroom because we will send you great bathroom fitters. As well as our expertise as bathroom fitters, Cullen Construction Ltd helps in creating and installing bespoke, luxury wardrobes. These bespoke fitted wardrobes are well crafted and designed in London. Our business is family run, and it has been in existence for over ten years. This has allowed us to employ a team of highly skilled and dedicated cabinet makers and designers because we prioritise on our innovative design as well as the quality and service offered. We all know that most of us would love to decorate their homes in any of the best ways possible. Due to this, Cullen Construction Ltd always strives to offer its customers the best furniture for their living space which can easily meet their budget. 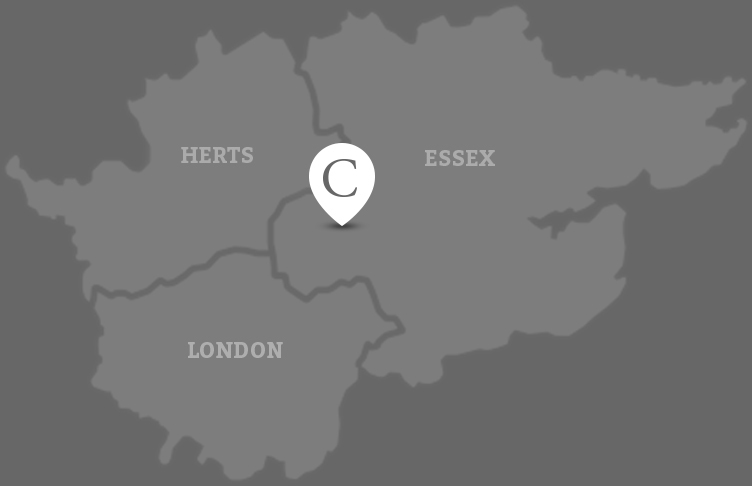 Our company has gained a lot of experience in the field of home improvements and fitted wardrobes, and it’s strategically located in Loughton, Essex to offer the best services. Till today, we have already served hundreds of customers from various parts of the Essex and London. They always feel satisfied with the services we offer. We have an expert design consultant who meets our customers at their homes to hear their needs and offers advice and any information on the best fitted wardrobes that may suit the room. After that, our designer will come up with a bespoke plan for you to approve and also give you a specific quote that is definitely unmatched by any other fitted wardrobe company in the market.